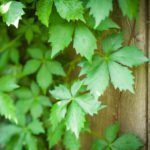 Can you completely cut down a Virginia Creeper that has a stem base of over 1-2? 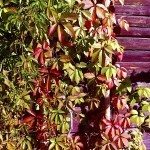 I have a Virginia Creeper growing up and over my front deck. I would like to paint the front deck and house but will need to cut down the vine for the painters. I love this plant there and would like to keep it growing there. When is the best time of the year to do this? Yes, you can prune the plant down to a workable size for your project. It will recover well and quickly!